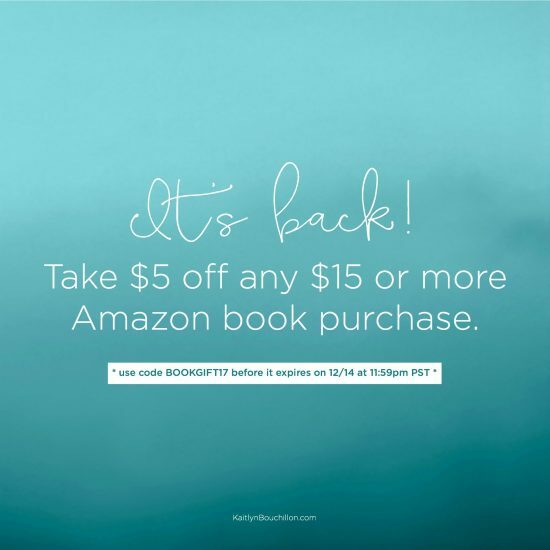 Before we get to the best books of 2017, I want to mention an awesome book-related deal happening at Amazon right now! Here’s the thing: I love books and words and stories. And y’all know this about me. Which means I’m often asked what I’m reading, what I’m loving, and which book I’d suggest for so-and-so. 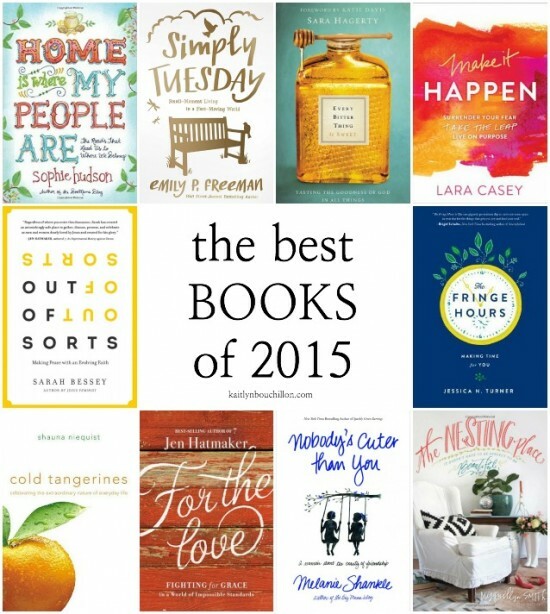 And so for many years now, I’ve compiled a list of my 10 favorite books of the year. I’ve read 52 books this year, so it was just as difficult to narrow down the list as it has been in years past. 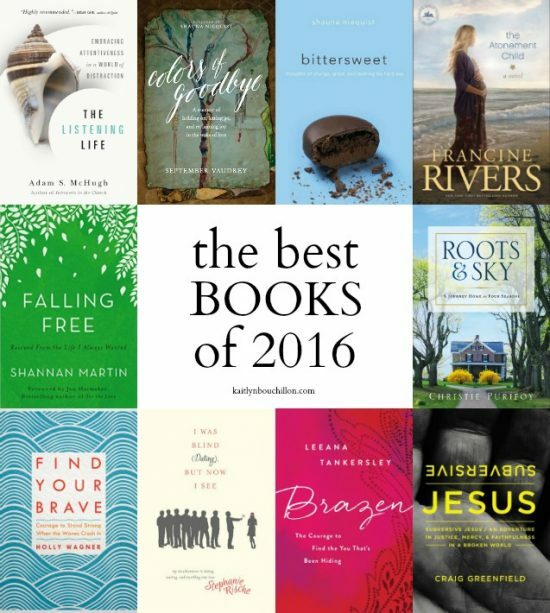 Several of the titles might be familiar to you, as over half of this list was mentioned in either the 13 Can’t-Miss Books Coming in 2017 post or 15 *More* Can’t-Miss Books Coming in 2017 post. Below, you’ll find a short “about” the book (pulled from Amazon) as well as who the book is written for (in my opinion). Please note: Not all of these books came out in 2017, but at some point this year I read and truly enjoyed each one. 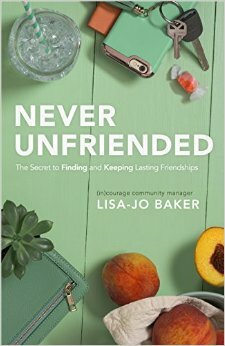 About the book: In a world where women can unfriend each other with the swipe of a finger, how do we find friendships that we can trust to last? Maybe by first becoming those kinds of lasting friends ourselves. Starting with that guarantee from the most faithful friend who ever lived—Jesus—this book is a step-by-step guide to friendships you can trust. It answers the questions that lurk under the surface of every friendship—What are we afraid of? What can’t we change? What can we change? And where do we start?—with personal stories and practical tips to help you make the friends, and be the friend, that lasts. For: anyone who has had their heart broken by a friend, longs to be a good friend, or needs a reminder that no matter what — they’re never alone. 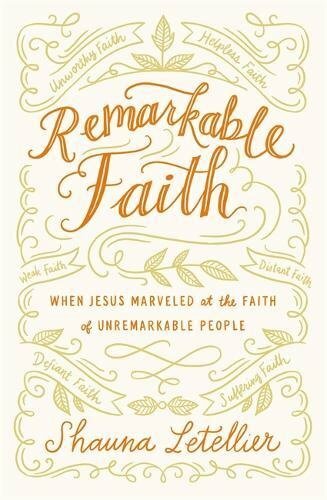 About the book: Remarkable Faith tells the stories of people whose faith was of such quality that Jesus Himself marveled at it — people who were broken, needy, and dependent. 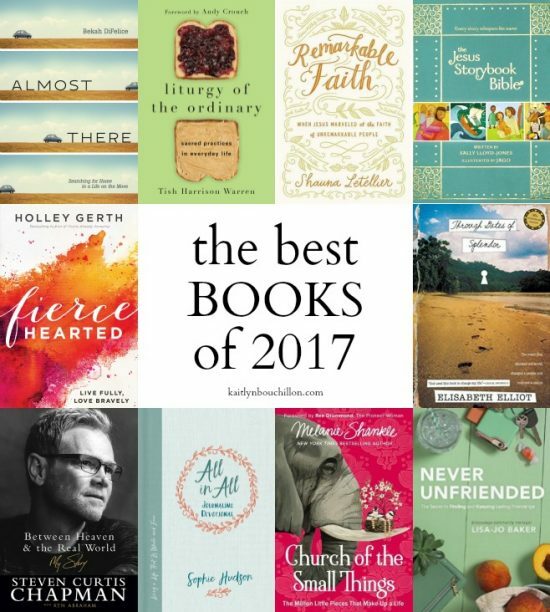 These eight vignettes weave together history, theology, and fictional detail to bring relief and a new perspective to those whose faith feels unremarkable. Written to encourage and relieve discouraged Christians who wonder if their faith is a disappointment to God, this book will demonstrate that remarkable faith — the kind Jesus marveled about — isn’t about achieving or performing. For: those who wonder if they’ve done enough (or if they are enough). Shauna brings to life well-known and much-loved stories that will help readers let go of a performance-based mentality and instead find the Truth of Jesus’ love. 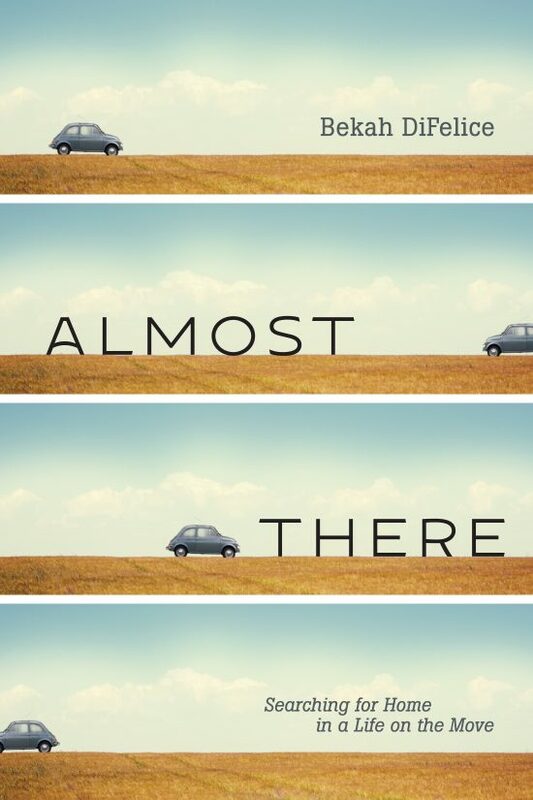 About the book: Easygoing and relatable, Melanie speaks directly to the heart of women of all ages who are longing to find significance and meaning in the normal, sometimes mundane world of driving carpool to soccer practice, attending class on their college campus, cooking meals for their family, or taking care of a sick loved one. The million little pieces that make a life aren’t necessarily glamorous or far-reaching, but God uses some of the smallest, most ordinary acts of faithfulness—and sometimes they look a whole lot like packing lunch. Melanie helps women embrace what it means to live a simple, yet incredibly meaningful life and learn how to find the beauty and laughter that lies right beneath the surface of every moment. For: anyone who feels lost in the regular mundane, yet longs to discover that their ordinary, everyday life matters. 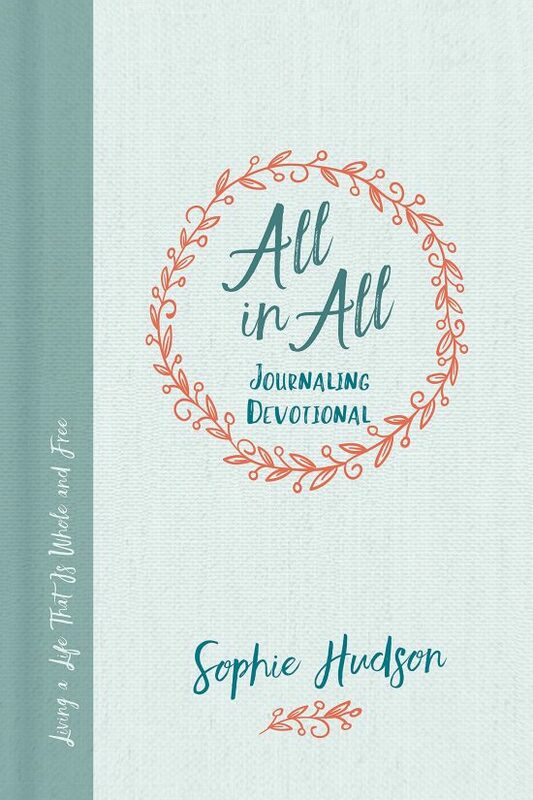 About the book: Written by popular author and blogger Sophie Hudson, this beautiful devotional journal for teens and young women reminds you that Jesus is your All in All—over all, through all, and in all that you do. As you dig in to Sophie’s words and wit, you’ll better understand the wholeness and freedom that come from a life filled with Jesus. Each of the 100 devotions is followed by journaling prompts that will get you writing, keep you thinking, and help you grab all the goodness He has waiting for you. About the book: A fiercehearted woman looks life in the face and says, “You can’t beat me.” She knows love is a risk but reaches out anyway. She chases Jesus with a tender, world-changing wildness. She never gives in, never gives up, and never lets go. 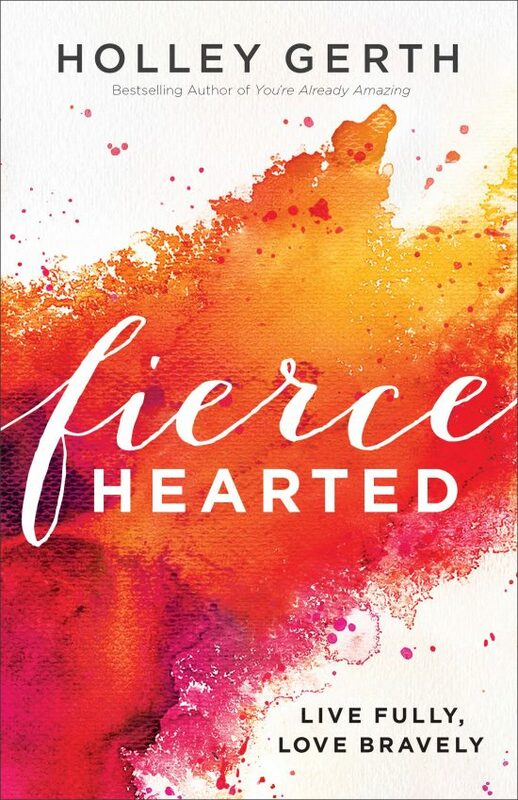 In her most powerful book yet, Holley inspires readers to become the stronger, braver, truer women they long to be by sharing personal stories of her own struggles and victories. Readers will discover a freedom they never imagined could be theirs: the freedom to experience life, love, and faith to the fullest because fear can no longer hold them back. For: the woman who is restless or longing for more, this book is an invitation to the life God has always meant for her to embrace. About the book: Sometimes God leads people out of familiar territory so he can tell them who they are. That moment you depart, you experience reinvention, renewal, and freedom. You get a redo on the adjectives associated with your name. With imaginative storytelling and witty, relatable prose, Bekah DiFelice offers wisdom for those struggling to belong in a world where home is constantly shifting. When our hope of home is rooted in an unchangeable God, we are not uprooted, lost, or made homeless by change. We become found ones on the move. For: those on the move, those who feel restless right where they are, and anyone who struggles with not belonging or feeling unsettled. About the book: In the overlooked moments and routines of our day, we can become aware of God’s presence in surprising ways. How do we embrace the sacred in the ordinary and the ordinary in the sacred? 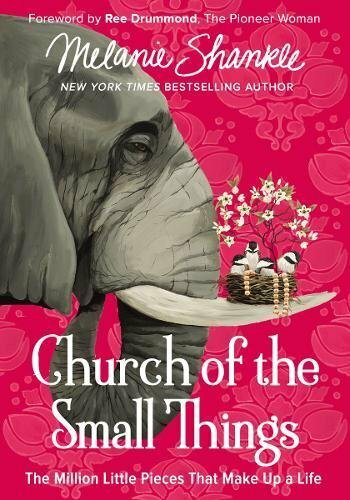 Framed around one ordinary day, this book explores daily life through the lens of liturgy, small practices, and habits that form us. Each chapter looks at something―making the bed, brushing her teeth, losing her keys―that the author does every day. Come and discover the holiness of your every day. For: anyone longing to find beauty and purpose throughout their day, even in the most ordinary of moments. 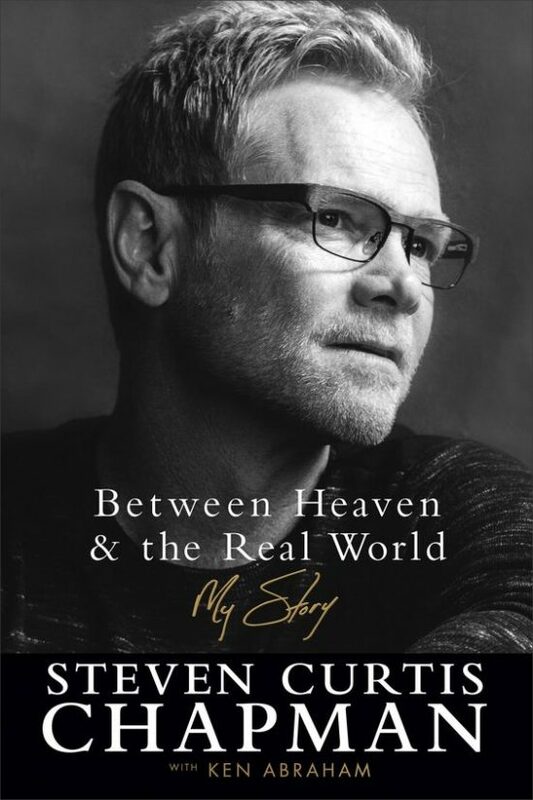 About the book: For decades, Steven Curtis Chapman’s music and message have brought hope and inspiration to millions around the world. Now, for the first time, Steven openly shares the experiences that have shaped him, his faith, and his music in a life that has included incredible highs and faith-shaking lows. In addition to inside stories from his days of youth to his notable career, including the background to some of his best-loved songs, readers will walk with Steven down the devastating road of loss after the tragic death of five-year-old daughter Maria. And they’ll experience his return to the stage after doubting he could ever sing again. For: those who have been moved by Chapman’s music… or, truly, anyone looking for a gut-wrenchingly honest, but hopeful, story of walking through brokenness while trusting God. 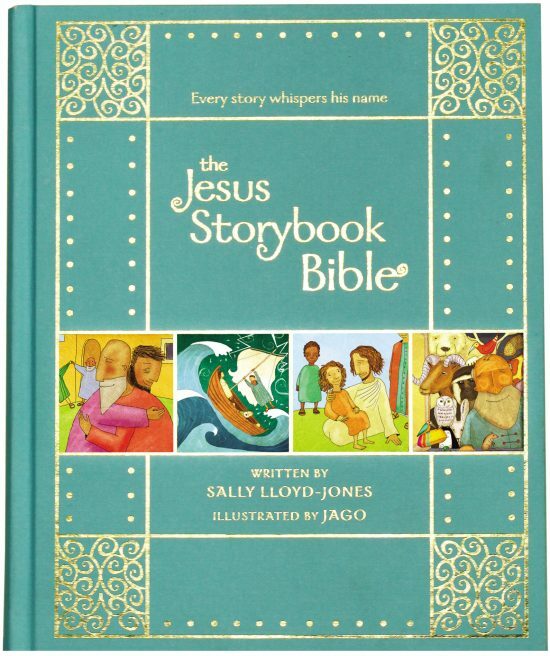 About the book: The Jesus Storybook Bible tells the Story beneath all the stories in the Bible. From Noah to Moses to the great King David, every story points to Jesus. He is like the missing piece in a puzzle — the piece that makes all the other pieces fit together. A Bible like no other, The Jesus Storybook Bible invites children to join in the greatest of all adventures, to discover for themselves that Jesus is at the center of God’s great story of salvation — and at the center of their story too. About the book: In 1956, five young men traveled deep into the jungles of Ecuador to establish communication with the fierce and isolated Waorani tribe. In a nearby village, their wives huddled around a radio receiver, eagerly awaiting news of the historic encounter. The news they received sent shock waves around the world and changed their lives forever. 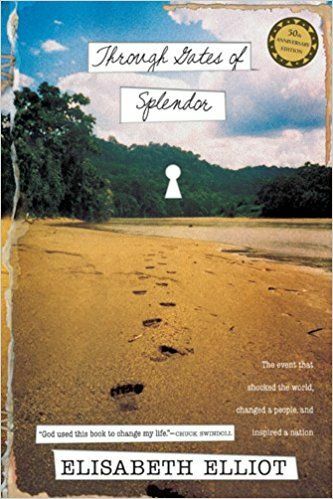 Through Gates of Splendor is the true story of five young missionaries who were savagely killed while trying to establish communication with the Auca Indians of Ecuador. The story is told through the eyes of Elisabeth Elliot, the wife of one of the young men who was killed. For: a push to follow God’s leading, encouragement to hold on to Truth, and courage to take the next right step in faith no matter what may or may not come your way. I’ve only read one of these. 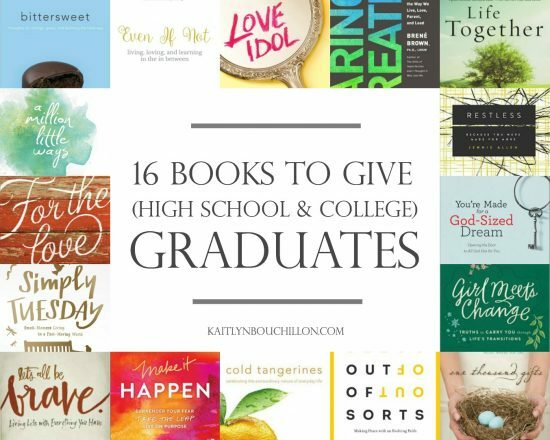 Being a book enthusiast, I’ve chosen your book as my favorite #LMMLinkup this week. I look so forward to everyone’s suggestions for the year, and I’ve found a couple new ones here to add to my list. 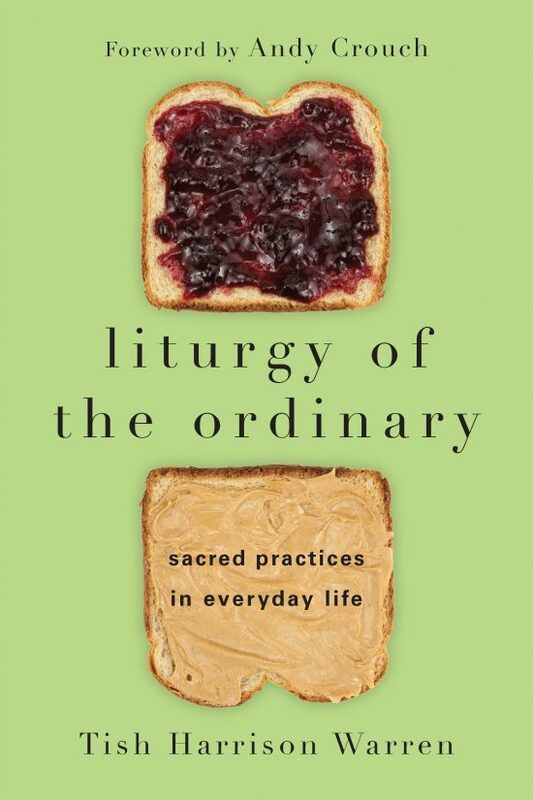 I’m ordering Liturgy of the Ordinary…Thanks for sharing them Kaitlyn and Merry Christmas! I’ve recommended that one to many people… It’s great! Thanks for sharing great books! I just had so much fun with Book Week last week at My Ink Dance….it was so fun to look back on my favorite books to read and give in different genres. Goodness, we have a lot of books in common. And this Christmas season, I’m keeping Sally Lloyd Jones’ book by my bed, read and re-reading the two or three little accounts of the Christmas story. She tells it such a fresh way. Thank you so much, Sarah – I’m glad you were on the launch team! :) 100 books is a huge goal, wow! I’ll have to check out your best books list. I like the Jesus storybook Bible for children. I am excited to have found your blog. Will add your suggestions to my booklist. I am halfway through “Remarkable Faith,” and I definitely agree with that selection! I’m glad you found your way here too, Gretchen. :) If you’re enjoying Remarkable Faith, I’d recommend Liturgy of the Ordinary next – or A Lineage of Grace by Francine Rivers. Loved Liturgy of the Ordinary! Isn’t it so good?! I want to read it again.